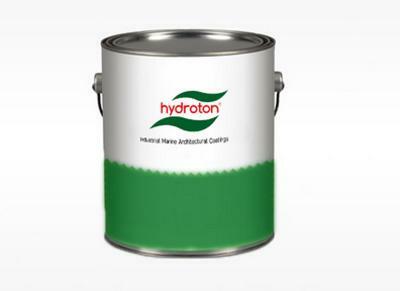 Greece-based industrial paint producer Hydroton has launched a new graphene-enhanced zinc epoxy paint - the 23303 ZINCTON GNC. 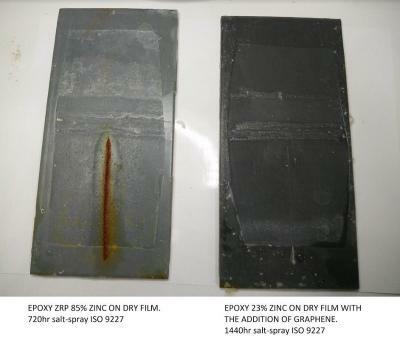 This is a two-component epoxy based coating that offers improved cathodic protection due to the addition of the graphene, compared to epoxy zinc rich primers. The new primer also offers improved adhesion to metal and as the zinc content is low, it is still cost effective. It is recommended for applications in highly corrosive environments. Hydroton says that the graphene addition enhances the effectiveness of this epoxy coating. As you can see in the above image, the is visible corrosion in Hydroton's regular epoxy coating after 720 hours, while the graphene-enhanced one looks much better even after 1,440 hours. The graphene for this primer is a special one developed by The Sixth Element Materials for corrosion protection. TSE is also working with China-based Toppen since 2015 and has deployed anti-corrosion paints in bridges and wind turbines in China.